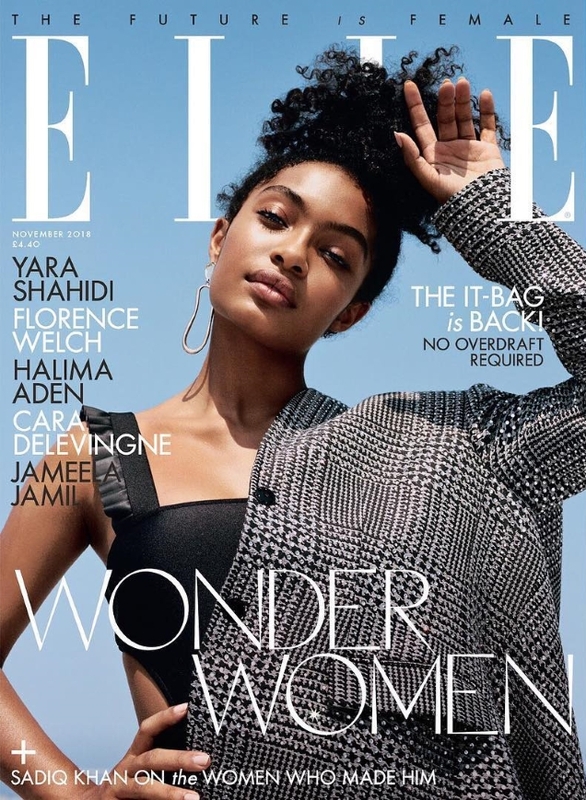 For over a year now, editor-in-chief Anne-Marie Curtis has been doing her best to overhaul ELLE UK, giving us a (sometimes questionable) redesign and some superb covers featuring Rihanna, Daisy Ridley and Winne Harlow along the way. 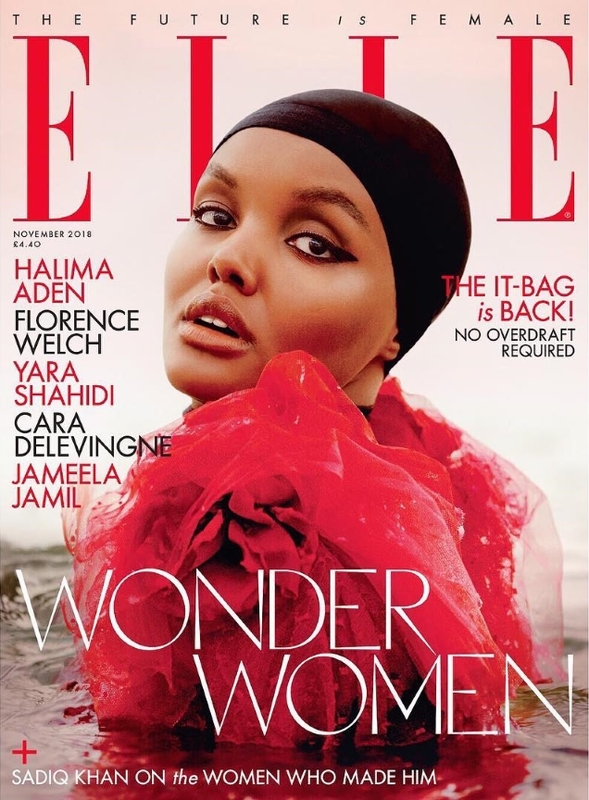 You might remember last year’s series of “Wonder Women” covers starring Ashley Graham, Susan Sarandon, Alek Wek and Beth Ditto…while this year goes to Halima Aden, Florence Welch and Yara Shahidi, each shot by different photographers for a trio of November 2018 covers for us to choose from. As per usual with multi-covers, there’s always one that stands out from the rest, and our forum members didn’t waste any time choosing their favorites. “Well gotta say that Halima cover is just gorgeous, easily the best one posted so far, and her best cover ever!” said Miss Dalloway. “Wow definitely Halima’s best cover I’ve ever seen. It’s nice to see this gorgeous photo of her embracing her diversity but not making it the main focal point of the photo. She’s beautiful! Love it,” added RMDV. “Halima’s cover all the way for me,” agreed 333101. Srdjan, however, simply wasn’t buying it. “Three pointless covers. Florence and Halima’s are an eyesore, the third one is okay, but bland. Feminism again… Cosmo is more empowering than this,” he critiqued. 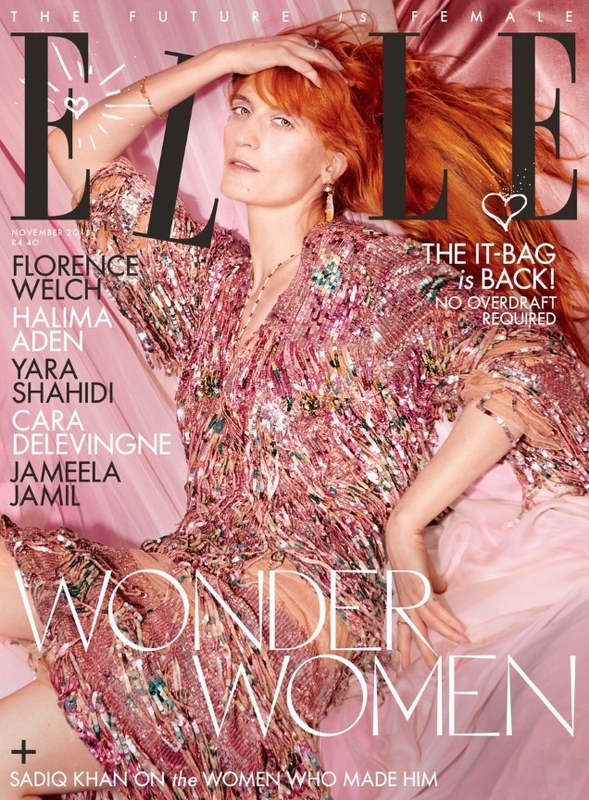 “The shot of Florence they’re using for the cover… she looks so over it, like they’ve asked her to do something she thought she’d never have to do again, and never wanted to do again. So what should have been an exciting shot of a party dress worn by someone with a big smile, just looks like a bored woman sitting on a massive pink pantyliner, who didn’t even bother brushing her hair,” mocked tigerrouge. “I just can’t stand Florence, IDK how she managed to still be a thing in this industry,” ghostwriter10549 said. Which cover do you prefer? Sound off and see what else the issue has to offer here.